Just because Josie has claimed the unused nearby hill doesn't mean that Caillee can't use it and enjoy it as well. 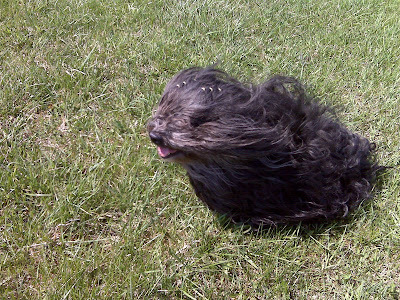 With high winds blowing through Caillee's long fur, she looked so beautiful. I might be a little bias here and under the circumstances, Caillee being my puppy dog and all, it's all okay to be so.